I am not an artsy creative person, at least not with pictures. So when I started seeing those beautiful art journaling Bibles, I just had to sigh with longing. I am, however, a lover of words. And now there is a devotional Bible for me, and people like me! 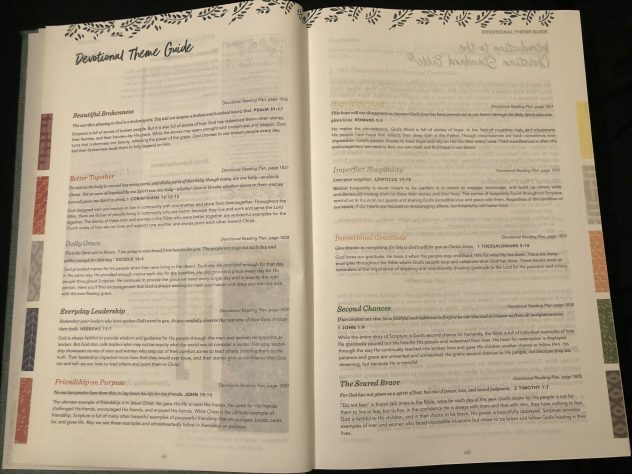 The CSB (in)courage Devotional Bible is a unique devotional Bible that is packed full of amazing extras to go along with the text of the Christian Standard Bible. Of course, one of the features I am most excited about is all the journaling space–with lines for words! I can also use the lines for writing notes about what I’m reading and studying. No more squishing notes in the tiny margins. Another special feature of this Bible is the Devotional Theme Guide. There are ten devotional themes, each with their own reading plan, devotions, and “women of courage” in Scripture–all color-coded in order to easily follow the particular theme throughout the Bible. 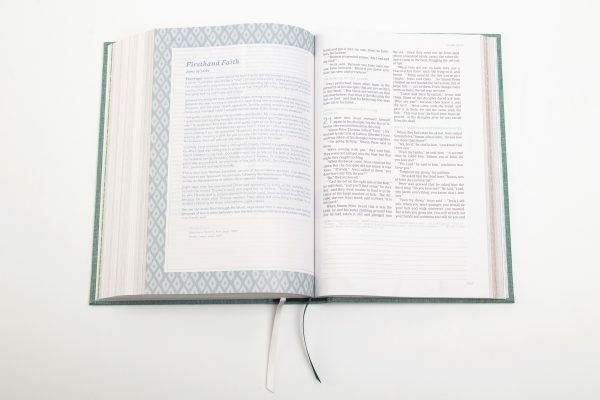 Each book of the Bible has an introduction page, which is comprised of three sections: Understanding the Author’s Heart, Connecting with God’s Story, and Connecting with Our Story. I am super excited about using this Bible for my personal quiet times in 2019. I try my best to read through the Bible each year, and I usually rotate versions. Reading through the Christian Standard Bible will be new for me, and I’m looking forward to it. 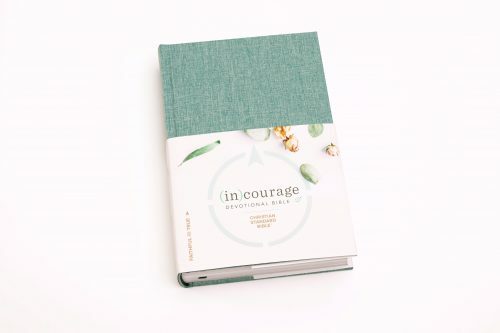 Now, you have an opportunity to possibly get your hands on a copy of the (in)courage Devotional Bible! Click on the picture below to enter.